Samoa might not recognise ANZAC with a public holiday but that did not diminish the meaning of the day for a huge crowd who braved an early morning start yesterday on Beach Road. The ANZAC Parade and Dawn Service on Beach Road was well attended by families, friends and colleagues of the men who fought at Gallipoli against the Ottoman Empire during World War I. The day is also used to honour the Samoan men who served and died in all wars, conflicts, and peacekeeping operations. The Head of State, His Highness Tui Atua Tupua Tamasese Efi and the Masiofo, Her Highness Filifilia Tamasese were present. 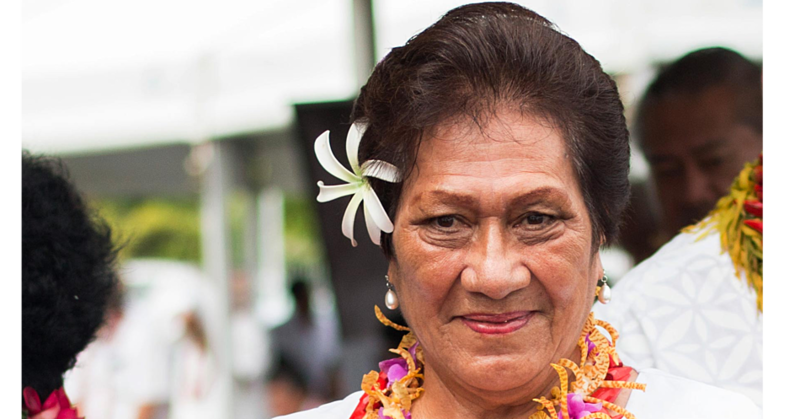 They along with Acting Prime Minister, Lautafi Fio Purcell, presented wreaths during the ceremony. 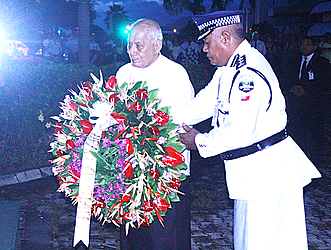 Acting Prime Minister Lautafi said the parade and the service is the very least Samoa could do to honour the men and women who gave so much. “Many of whom made the supreme sacrifice and unselfishly gave their lives to defend the freedom and a way of life that we enjoy today,” he said. “It is the time to again remind ourselves of the ultimate sacrifice that we will remember to this day and encourages services and action of succeeding generations to secure peace for our community and the world. “As we commemorate ANZAC this year we remember that many parts of the world are still plagued by localised war and conflicts. “Some of these conflicts have the potential of putting security of the wider world at risk. “There is therefore a world collective responsibility to try and resolve these conflicts and bring peace to people who have suffered long from the ravages of war. “Some say that ANZAC commemorations glorify war, but I’m sure every veteran will be the first to say that their greatest wish and prayer is that their children and their country may never have to witness the horrors of war. 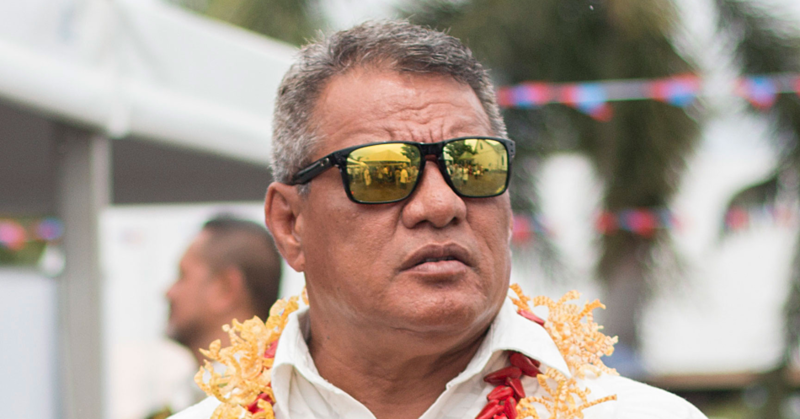 He went on to say that Samoa have too been in the forces of different nations in various features of conflicts and will be remembered with great humbleness the sacrifices and the services they gave. “Our own police force continues to serve in risky missions in different parts of the world including the pacific and we shall continue to contribute as much as possible to this important work as an ongoing national commitment,” he said. “I wish on this occasion the celebration of ANZAC Day to also express our deep appreciation to the defence forces of Australia and New Zealand for their immediate help during Samoa’s times of help and need. 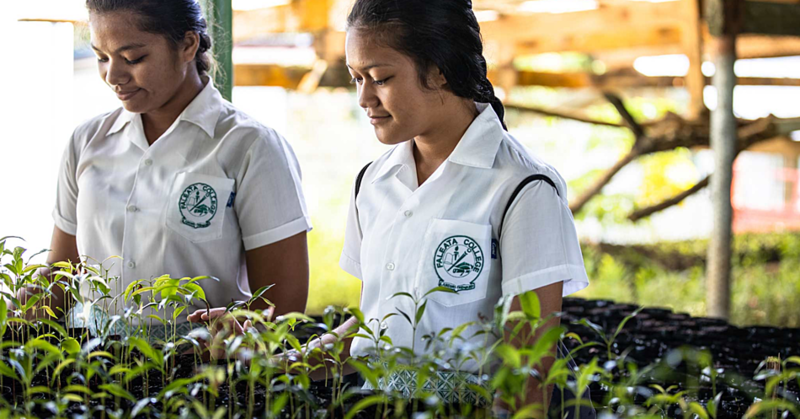 While Samoa has suffered from internal conflict of war we have not been spared the devastation of natural disasters. “Just two days ago we were preparing as a nation to bear the brunt of yet another natural disaster in Cyclone Amos and fortunately with what can only be described as a miracle we were spared the devastation and only suffered very minor damages. “So again we extend our gratitude to the defence forces of the countries New Zealand and Australia and to the military personnel of all other nations who have helped Samoa in the past.